High-tech comfort is right at your fingertips! 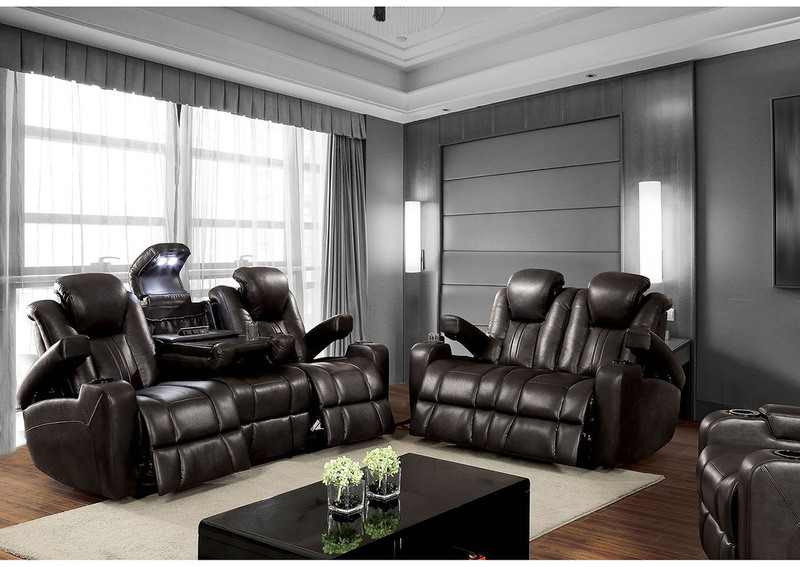 This reclining sofa offers power reclining functionality in the headrests and legrests, not to mention built-in lights for the cup holders. Storage compartments double as armrests while providing a hidin g space for remotes and accessories. The sofa's multifunctional center seat features a drop-down back with a USB power outlet and convenient reading light. Embark on journeys within your own home with this futuristic reclining sofa!